You’ve seen it online. You’ve probably set up your profile and get messages daily about people wanting to connect. But how well do you actually use LinkedIn to generate leads? Knowing the opportunities that LinkedIn can offer and how to leverage them will give any business an unparalleled advantage over its competition. The fact is, it’s getting harder and harder to capture the attention of your potential buyers. Traditional sales and marketing efforts are more expensive and less effective than they used to be. And given that at least 90 per cent of decision makers never answer cold calls, it’s becoming more difficult every day to reach your prospects. Also, with all the noise online and in other social channels, trying to stand out amid the chatter ends up being hit-or-miss. That's where you can gain an edge over your rivals by using LinkedIn for sales and marketing. Any business owner or sales professional knows that to keep cash flowing to the bottom line, you need to keep your sales pipeline filled with qualified prospects. LinkedIn is one of the best ways to do that consistently and professionally. If you’re a sales director or manager, LinkedIn offers powerful benefits for your sales team, who might be struggling to meet their monthly quota because they’re using old data and outdated tactics. 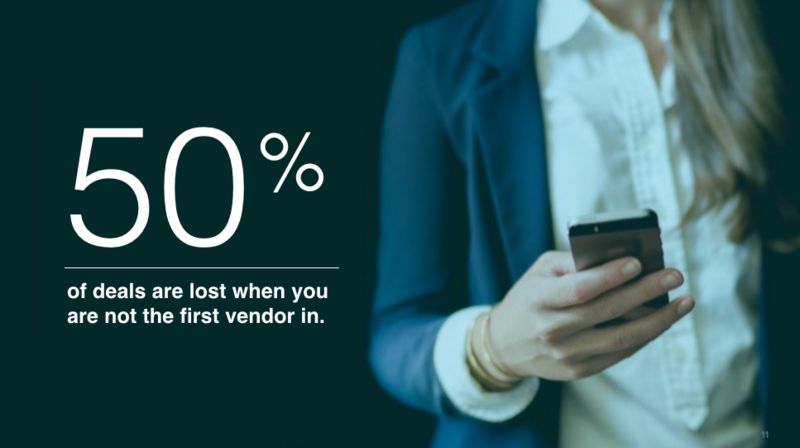 The chance of closing on a deal drops by 50 per cent if you’re not the first vendor to connect with a prospect. Three-quarters of buyers don’t believe that sales reps understand their businesses well enough. Buyers are more than halfway through their decision-making process before they ever reach out to a salesperson. All of these things show why it’s critical that you leverage a tool like LinkedIn to properly research, gain valuable intelligence and stay top-of-mind with your prospects for when they’re ready buy what you have to offer. LinkedIn is not about hit-or-miss strategies, cold connections or fighting to be louder in an already busy marketplace; it’s about strategically building valuable, mutually beneficial relationships that will continue to serve you and your potential clients. 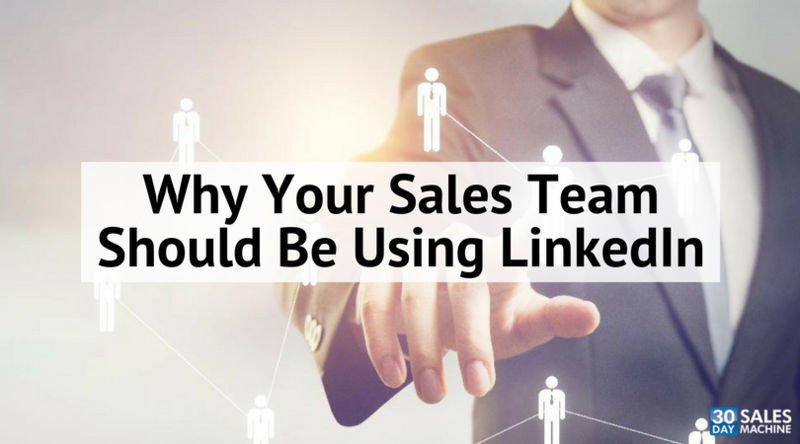 When used properly, LinkedIn enables users to learn about their prospects before reaching out and to tailor their messages strategically and thoughtfully—something buyers really appreciate. LinkedIn also provides relevant, timely information about your leads, such as whether they’ve recently switched jobs or changed positions within the same company. Leveraging this data will give you and your sales team the upper hand over competitors that are still working with old information. Best of all, LinkedIn enables you to easily understand your buyers’ pain points so you can anticipate their needs and present solutions to their business problems. If you’re wastefully spending thousands of dollars on old-school marketing collateral like branded mouse pads—or buying lists and hiring people to manage that data, even though it's all but impossible to track ROI—you need to consider adding LinkedIn to your sales and marketing strategy. If you want more helpful tips on how you can leverage LinkedIn to grow a qualified sales pipeline, check out our 7 Step LinkedIn Funnel Checklist. This article originally appeared on BCBusiness and is the first in a series of seven articles about how sales and marketing professionals can leverage LinkedIn to turn cold leads into warm prospects and more clients for their business. Need more traffic, referrals and revenue for your business? Have you ever felt that LinkedIn has so much potential, but you just can’t figure out how to fully leverage it? Join a free webinar where LinkedIn expert – Trevor Turnbull, will share his step-by-step LinkedIn Funnel approach to connecting with decision makers!